If you love food and wine as much as I do and you are looking for something to do in Calgary on Saturday October 18th from 12-4pm , then look no further because The Rocky Mountain Wine and Food Festival is back and is by far one of the best events that goes on in the city. 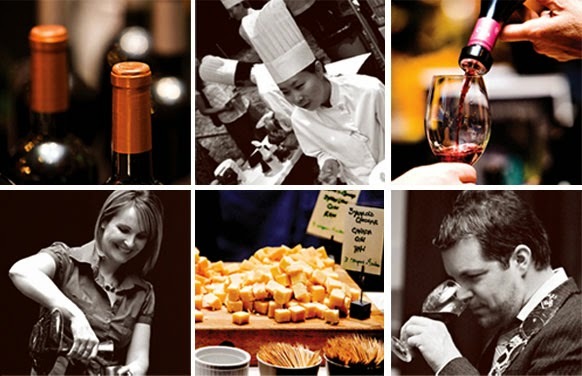 The Rocky Mountain Wine & Food Festival invites guests to sample from a wide array of wine, scotch and beer with knowledgeable experts on hand to answer any questions about tasting notes that you may have. Also, some of the best restaurants in the city will also be on hand serving delicious food samples. This year's Grand Prize at the Calgary Rocky Mountain Wine & Food Festival is an all inclusive weekend getaway for two at the beautiful sunshine mountain lodge. The winner and their guest will escape for a weekend away at Banff's only ski-in, ski-out hotel in the heart of the Sunshine Village Ski and Snowboard Resort. A two night accommodation, VIP parking, dinning for two at the Chimney Corner Restaurant, full mid-mountain rentals packages for two, and next day lift tickets. -Leave a comment below telling me why you should win with your email address. * You must be 18 to attend this event and tickets can not be transferred to the evening session on Saturday. It would be so great to win this! My mom is going to be in town next weekend and I would love to take her!